Stunning holographic designs! 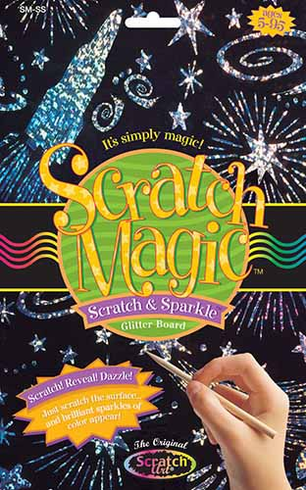 Use the wooden stylus to trace more than 30 stencil shapes or etch your own designs onto these black-coated scratch boards. Each line will come to life in holographic silver with amazing effects--the 2D pattern looks like 3D glitter!